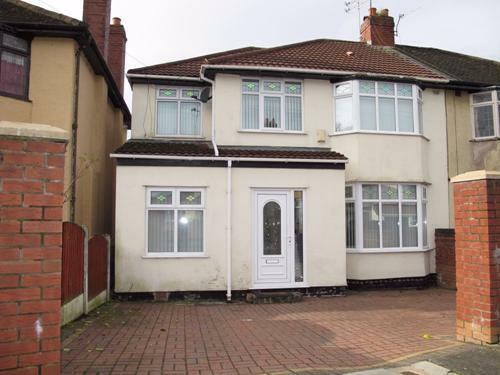 This fantastic 3 bedroom semi detached house, also has a ground floor study which has been used as a 4TH BEDROOM. The house which is located between Childwall Valley Road and Queens Drive. 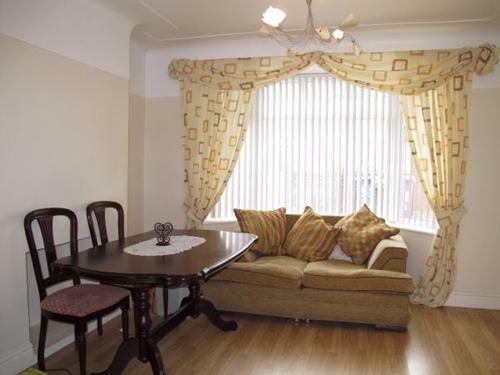 Is therefore located within the vicinity of local amenities including shops,transport links and popular schools. 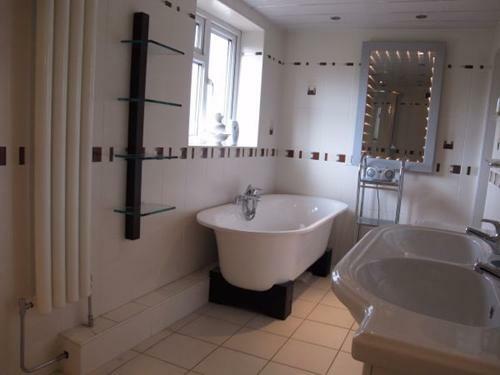 The property itself briefly comprises of a hall,lounge,dining room,study room/bedroom,extended kitchen/diner and ground floor shower room. 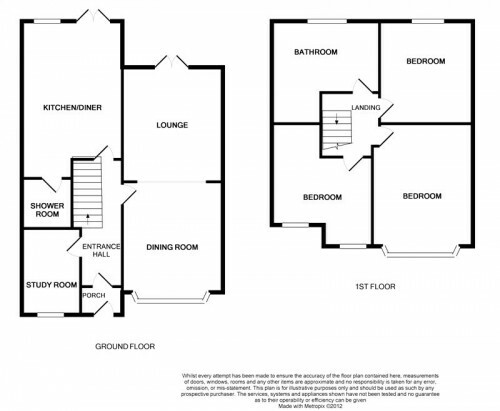 To the first floor there are 3 double bedrooms and an extended bathroom. Outside there are gardens front and rear with a driveway for off road parking. An internal inspection is highly recommended. Double glazed door to front.Tiled floor. Stairs to first floor.Radiator.Laminate flooring.Understairs storage. 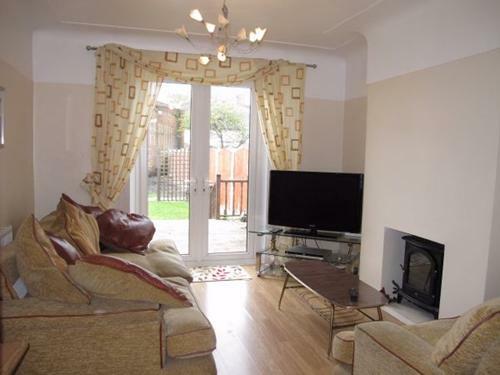 Double glazed french doors to rear.Feature fireplace.Radiator.Laminate flooring. Double glazed bay window to front.Radiator.Laminate flooring. Double glazed window to front.Radiator.Laminate flooring. 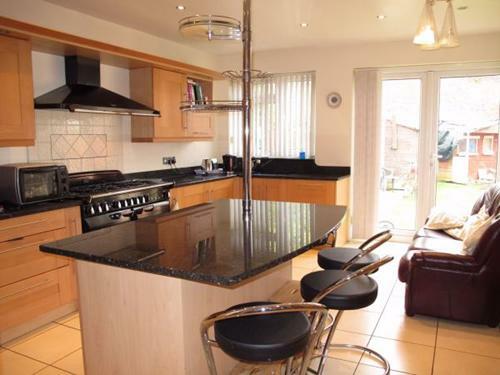 Double glazed window to rear.Double glazed french doors to rear.Range of wall and base units with granit worktops.Granit topped breakfast bar.Stainless steel sink unit. Walkin shower cubicle.Pedestal wash basin.Low level wc.Tiled to compliment. Double glazed bay window to front.Radiator.Built in wardrobes. Upvc double glazed window to rear.Radiator. 4.13m x 3.25m (13' 7" x 10' 8") to largest points. 2 Double glazed windows to front.Radiator. 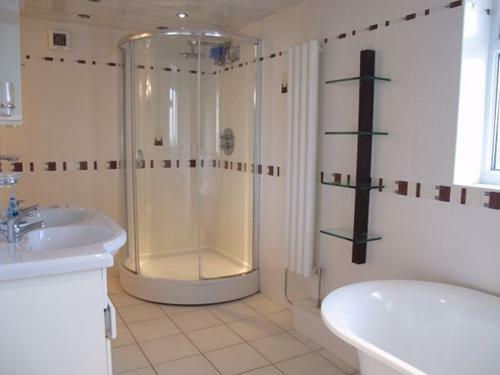 Double glazed window to rear.Free standing bath.Seperate shower cubicle.Double vanity wash basin.Low level wc.Tiled to compliment.Raditor. 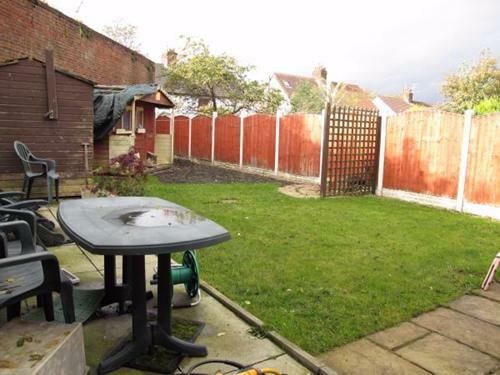 Decked patio area.Laid to lawn.Not overlooked.